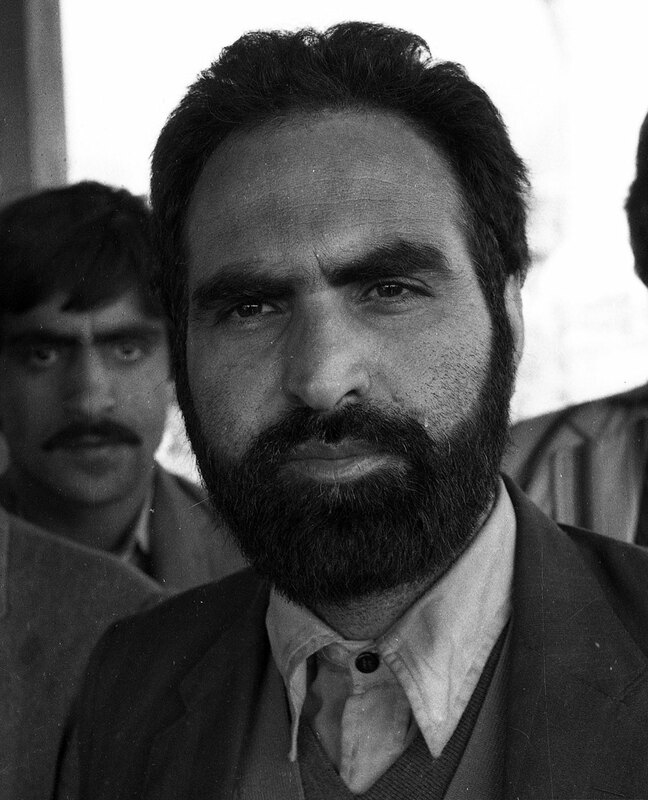 Perhaps something was on cards when Dr Ghulam Qadir Wani suddenly arrived in a taxi at Prof Abdul Gani Bhat’s Botengo residence, one fine summer day of 1986. Bhat, who had recently been dismissed from services by governor, knew the strategist never comes empty-handed. “So, what brought you here in such haste?” asked the puzzled professor. “I am here to invite you for a Jama’at [Jama’at-e-Islami (JeI) J&K] religious congregation taking place in my village today,” the eager-looking Dr Wani replied. And thus, the professor went on preaching. Delivered in Kashmiri, he would shift to English to create an impression. Then Dr Wani sent him a chit —“Bhat Sahab has arrived”. Sharp professor got the cue and followed the mutually agreed script. Even Jama’at chief listening to the speech outside the mosque was confused. Prof Bhat walked out and told Bhat that MUF was only “propagating” Jama’at ideology. 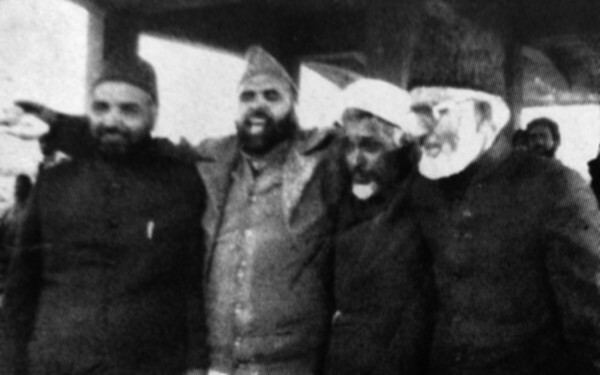 And then the trio set the historic date at Botengo, a day later, on July 13, 1986 — the day Kashmir would be paying homage to 1931 Martyrs — where Jama’at would be formally embracing MUF by adopting its constitution. Jama’at rank and file was dating Baramulla for religious congregation. There, a different Dr Wani was hitting Jama’at chief G M Bhat left, right and centre. He lashed out at Ameer for “mishandling both MUF and Jama’at”. Behind the rage was the realisation of MUF’s disintegration. Wani knew in MUF’s disintegration, it was his brainchild that died. As MUF’s fall proved personal loss to Dr Wani, he somehow maintained distance from the emerging state of affairs till his unceremonious exit from Jama’at was announced. It was late-eighties when he joined Islamic Students League (ISL). He shortly stuck to his old guns: making strategies for Kashmir cause. But amid altered political equations in valley, he became JKLF’s chief publicity officer. But soon he differed with the party ideology and joined back ISL. As ISL leader, Dr Wani was shortly in PaK. It was during the same time, he was nominated in-charge publication for Tehreek-e-Hurriyat Kashmir. Through his activism and strategies, Dr Wani took Kashmir campaign off-shore. Dr Wani stayed in Pakistan for two years and throughout travelled on Pakistani passport. During that period, his clarity of vision earned him admirers. For Kashmir, he visited nearly 25 countries. But years before becoming Kashmir’s literal foot-soldier, Arin’s Wani was the known brilliant scholar of Bandipora. They knew him a ‘son of substance’ from his budding years alone. Born to poor parents on March 11, 1953, Dr Wani had his early education from local government school. Mentored by the revered figure like Peer Usman Fazili, Dr Wani graduated from Sopore Degree College before joining Jawahar Lal Nehru University (JNU) Delhi to pursue doctorate in History. Once he returned from Delhi in 1980s, he joined JeI and edited its mouthpiece, Azaan. Later, he went on to edit Uqaab – the MUF organ. But more of an editor, Dr Wani rose to the prominence as the strategist who chalked out programs and roadmap for his party—for which he often faced prisons. Soon, Wani became a ‘one man institution’. He used to quote Qur’an and the works of intellectuals like Gramsci, Iqbal, Sartre, Kierkegaard and others, thus making him a “knowledgeable” speaker. He was a firm believer in innovative strategy. In Muzaffarabad, Dr Wani was exactly doing the same. With Farooq Rehmani of Peoples Freedom League, he led a rally and presented a memorandum to UNO official on Jan 26, 1993 there. A year later in Kashmir, he got disillusionment with the state of affairs unfolding around. He shortly disengaged himself with militancy and returned to Arin. He remained at forefront for the village welfare hardly knowing what was to befall on his village in the fall of 1997. At around 5:20pm on September 18, 1997, a mortal shell landed in the paddy filed of Arin Bandipora, badly injuring a youth, Ashoor Lone. The sound of the exploded shell drew eight family members of the Mir family outside to discern the situation. Some five minutes later, another shell rained in, and flattened dead all the eight family members inside their yard, and three others on lane outside. The shell devoured Jana Begum (mother); her son, Abdul Rashid Mir (35); Rashid’s wife Rubeena (35); their daughters – Neelofar (8) and Qurat Ul Ain (6); Mohammad Abdullah Mir’s daughter Rifat (12) and two visiting daughters of his brother-in-law – Saba (8) and Seema (6). The blood-dripping corpses were scattered around the yard. The three pedestrians killed in the shelling were identified as Ghulam Mohammad Lone of Sumblar (50), Nazir Ahmad Shah of Gundpora and Mirs’ neighbour’s daughter, Mehnaz (13). After losing eight of their family members, Mirs sat forlorn, hoping against the hope until Dr Ghulam Qadir Wani decided to head the justice campaign for them. Chief Minister Farooq Abdullah flew to Arin along with the visiting Home Minister. For eight lives, Abdullah promised jobs, but Mirs got none. Later Dr Wani and Mohammad Abdullah were offered Rs 15 lakh by a top BSF official to stay quiet, but Dr Wani refused to take blood money. Then, BSF, apparently to wash their hands off the misadventure blamed Rastriya Rifles (RR) of Indian Army. R S Tewari DIG BSF then told newsmen that the act was committed by the army’s RR. Soon in a presser, RR while pleading their innocence said they didn’t possess 81 mm mortar recovered by police from the site. In between, state announced magisterial enquiry to be conducted by DC Baramulla who continued the proceedings but never completed it. Dr Wani who lodged an FIR with the local police reportedly faced death threats, but he never budged. Soon the conspiracy of sorts surfaced when Javid Shah —the renegade-turned-MLC warned Mohammad Abdullah, “stay away from Dr Wani.” During those days, renegades were the law unto themselves. Then, almost a year later, some unknown gunmen trailed Dr Wani when he was returning home after offering night prayers. In acute darkness, the disguised gunmen struck, pumping a torrent of bullets into Dr Wani’s body inside his fenceless yard. Hearing the gunshots, his daughter Nighat Parveen along with domestic help came down screaming only to face bullets. While Wani and his niece succumbed to their wounds, the daughter and domestic help survived to recount the dark horror. “I couldn’t see them,” says Nighat, “probably they spared me and our domestic help’s lives by presuming us dead.” Dr Wani’s daughter married to Riyaz Wani (37)—an orchardist—is now dwelling her late father’s modest home with her two children and husband. At a stone’s throw, Abdullah, who lost 8 members in the mortar-shelling, explains why he discontinued to rally behind justice after Dr Wani’s murder. “I thought if they can kill Dr Wani, then who am I,” says Abdullah, while recalling the horror inside his Arin home still bearing bullet assaults. “So, I stayed quiet for the sake of my family.” An orchardist, Abdullah is now living with wife Sara, three sons and slain brother’s daughter. Kashmir went in droves to mourn the assassination. Even PaK mourned. Later when Prof Abdul Gani Bhat visited Arin to mourn the ‘personal’ loss, he spared some moments to visit the mosque where Dr Wani made him to deliver a historic speech on July 12, 1986 to rope in Jama’at into MUF. He could only shed a tear or two over the loss of “Kashmir’s greatest strategist”.